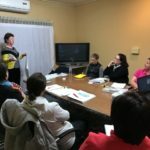 We were very fortunate to have Kim Scanlon from Alpine Valleys Community Leadership present for our Learn Support Lead workshop on Leadership Styles and Types of Leaders at the Wodonga Bowling Club. The evening involved plenty of discussion around the various leadership styles we all face within our workplaces, community and sporting clubs. The key message being no one style is better or worse than another as long as the approach is applied in an effective manner to achieve the required outcome or result. 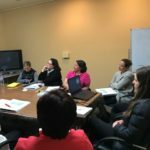 The group learned the qualities that identify leadership versus management, and the importance of emotional intelligence in effective leadership. Perhaps the most discussion occurred around our ideal holiday. The group was split into personality/styles based on the Myers-Briggs Interactive Tool. Despite a few common features the motivations and desired outcomes were vastly different. 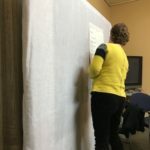 It was a great example for the group to see how activities that get one person enthusiastic could be someone else’s nightmare! Many thanks to Kim for her time, and Kate from Wodonga Bowling Club for hosting. 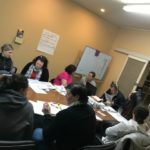 The next Learn Support Lead workshop on Networking will be at the Tallangatta Community Centre, thanks to Towong Shire. 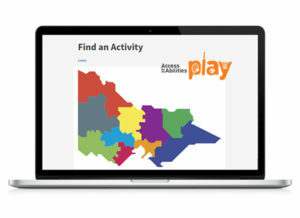 AAA Play is an online service provided by Reclink Australia and the State Government of Victoria, that connects people with a disability to sports and recreational opportunities in Victoria. A recent collaboration with the nine Victorian Regional Sports Assemblies has enabled sport and recreation opportunities for the entire state of Victoria to be featured in one place. AAA Play has previously only included opportunities for metropolitan Melbourne and the Mornington Peninsula. This new expansion will facilitate a crucial entry point for people who are seeking out a sport or recreation connection in all areas of Victoria. Reclink Australia CEO, John Ballis emphasised the importance of this regional expansion. “We have seen the value that this service provides people with a disability since AAA Play first began in July 2014. 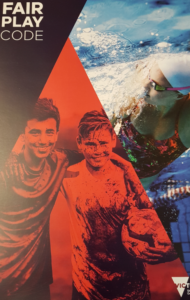 “The AAA Play website and information portal has been successful in engaging people with a disability, families and carers to achieve positive sport participation outcomes. Research shows that knowledge and awareness of inclusive sport and recreation programs and activities among people with a disability and their families is insufficient, yet critical in enhancing participation in sport and recreation for people with a disability. The website has been modified to include a more accessible map that covers the key regions of Victoria. “An exciting component to this project is some of the web development we’ve been able to achieve to enable State Sporting Associations and Regional Sporting Assemblies to more readily add and update programs,” Chris Lacey, Reclink Victorian State Manager explained. People with a disability, their carers and families can access AAA Play by visiting aaavic.org.au, emailing request@aaavic.org.au or phoning 1800 222 842. If your sporting club or association has an all abilities opportunity in north east Victoria to share with the community, please contact Sport North East at sportnortheast@thecentre.vic.edu.au or (03) 5721 0200. Through the Sporting Club Grants program, Sport and Recreation Victoria encourage clubs to apply for Category 3 funding under this program. Category 3 offers sports clubs up to $5,000 to improve club operational capacity. Should your club be successful in receiving this grant, Sport North East can assist clubs with creating and implementing a Fair Play Code. Read more on the Fair Play Code. Read more on the Sporting Club Grants program (round 1 closes this Wednesday June 27).